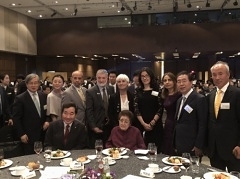 Nobel Peace Laureates and Permanent Secretariat’s Team at the Conference for the 18th Anniversary of the “6.15 Inter-Korean Summit” in Seoul. 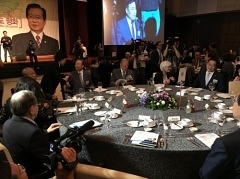 The Permanent Secretariat, along with Representatives of four Nobel Peace Prize awarded organizations participated in the Conference for the 18th Anniversary of the “6.15 Inter-Korean Summit” in Seoul. 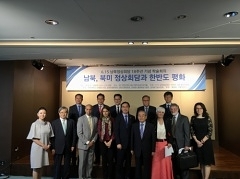 The conference was organised by the Kim Dae-Jung Peace Center, Kim Dae-Jung Presidential Library and Museum at Yonsei University, Korea Peace Forum, Kin Dae Jung Nobel Peace Prize Memorium and Kim Dae-Jung Foundation. 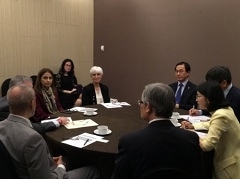 The attendance of Ms Lisa Clark, the Co-President of the International Peace Bureau (Nobel Peace Prize Laureate 1910), Dr. Ira Helfand, Co-President of the International Physicians for the Prevention of Nuclear War (Nobel Peace Prize Laureate 1985) and International Campaign to Abolish Nuclear Weapons (Nobel Peace Prize Laureate 2017) Representative, Ms Joyce Ajlouny Secretary General and Mr Phil Lord, Clerk of the American Friends Service Committee (Nobel Peace Prize Laureate 1947) was organised with the support of the Secretariat. 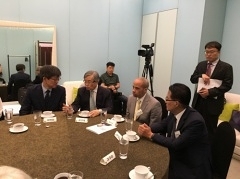 At the Conference invited Nobel Peace Laureates and the President of the PermSec, Ekaterina Zagladina along with Special Representative for Asia of the PermSec Ayami Gensei Ito met the Prime Minister of the Republic of Korea, Minister of the Unification of the Republic of Korea and Mayor of Seoul. 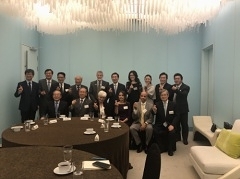 The Chair of the Honorary Board of the World Summit of Nobel Peace Laureates Mikhail Gorbachev sent a special note to the participants and guests of the event. 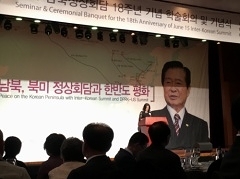 As was stated by the Director of Kim Dae-Jung Center, “Nobel Peace Laureates played an important role for world peace and their messages will be important for peace in Korea“.